Diversification is a corporate strategy to increase sales volume from new products and new markets. Diversification can be expanding into a new segment of an industry that the business is already in, or investing in a promising business outside of the scope of the existing business. 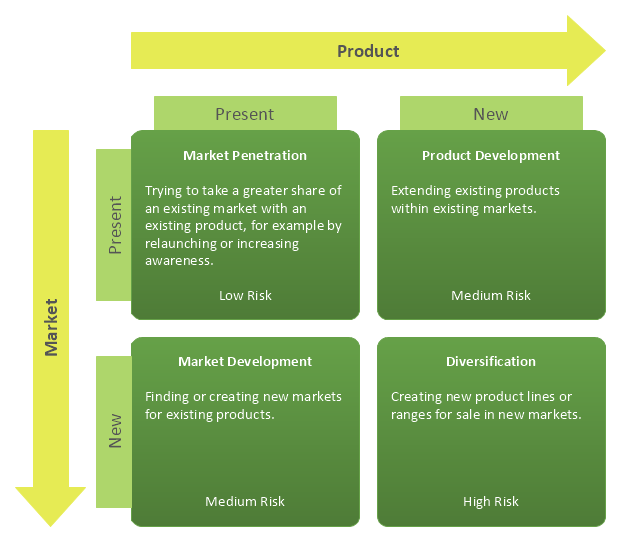 Diversification is part of the four main growth strategies defined by Igor Ansoff's Product/Market matrix.